Seat and back combination in one convenient piece. Provides relief from pain due to sitting-induced pressure and positioning. Unique segmented fins (see close-up at right) are specifically engineered to address the effects of shearing, and to assist in proper body positioning. Patent-pending design has two distinct zone orientations to reduce shear in multiple directions. The cushion is thicker in the lumbar area, and under the thighs to resist patient sliding down in the chair. 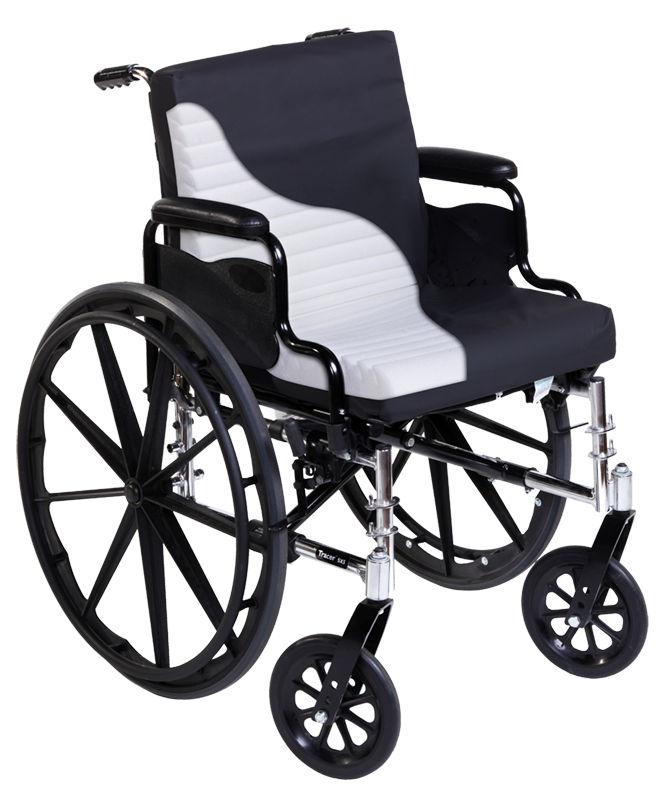 Designed for wheelchair use, can also be used in office chairs, spectator seats, trucks and cars, etc. Click the button below to add the Short-Wave Cushion to your wish list.